Considering the massive cliffhanger we were left with at the end of the first season, this new season had some pretty high expectations. It took awhile to get it finished and released, but the wait was well worth it. I will say that I am a fan of Stargate as a whole. SG-1 was a little long for my taste, but the original movie is one of my nerd favorites. Overall, I enjoyed the show. I actually liked the second season better than the first. The first season dealt more with character introduction and how they coped with being stuck on an alien spaceship with an unknown destination. By the second season, they were past all that and getting into he heart of the show. Suddenly things like water, food, clean air become more of an issue than getting home. There was more of a sense of realism in the second season that the first season lacked. While their quest to find new resources lead them to new worlds with different species, it wasn’t just an action packed, childish fantasy. There was strategy and subtle plot twists that led to a deeper meaning. In the beginning of the series, the crew was left with a bit of an Alliance military shaped problem. The Alliance men added some new lifeblood into the mix and caused a bit of unease among the ranks. There are obviously both good and bad guys among the Alliance, but up until this point, all Alliance are viewed as enemies. So when some start helping and side with the original crew, it throws a proverbial wrench into the gears. Suddenly everything’s not just black and white anymore, now there’s a new gray area. The idea of having to friend your enemy to survive has been used for a very long time. 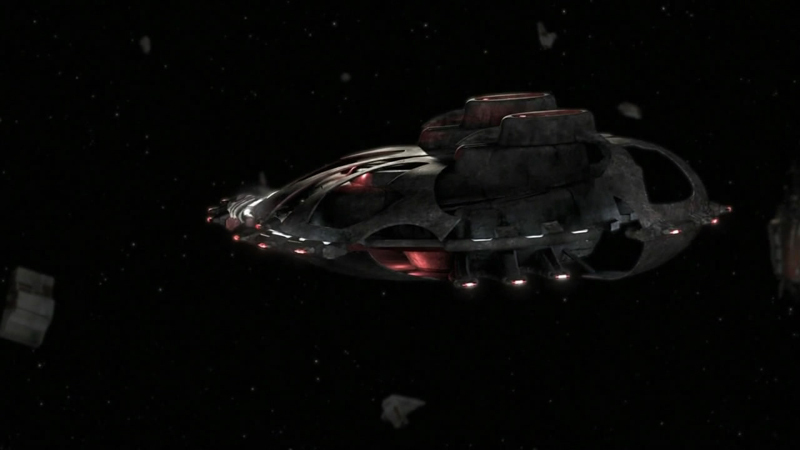 Using this, they took a pretty big leap, but Stargate Universe does a pretty good job balancing the fine line between cliché and classic while throwing in some flair for good measure. They even manage to squeeze in several romantic entanglements in this season, each with their own flavor. There’s your basic, epic romance that’s generally between two perfect characters, the broken romance that you can’t help but feel for and the new, shy couple that either makes you want to squee or gag. There’s a little bit for everyone to get into and that also made the season better. If I had to sit through another season of just Matt and Chloe being sickeningly sweet, I probably would have had to turn the TV off. Rush isn’t a character you’d normally consider a romantic, but when he started to fall for Amanda, it was absolutely adorable. The two complimented each other’s flaws and created a new romance that I actually liked – and I normally can’t stand romantic canon couplings. When Eli grabbed himself a girl, it was suddenly the stammering boy next door with his first crush. It was incredibly cute, but there’s still only so much sickeningly sweetness that I can handle. Personally, I’m not a fan of Chloe. I really hate her damsel in distress/innocent attitude. Everyone seems to have a skill or knowledge to help the crew except for her. So when she started to change after her encounter with the aliens and got smarter… I was intrigued. Suddenly the useless one had a purpose. She was working equations that even Rush couldn’t figure out, which made her suddenly the most important person on the ship. Dare I say it? I might have even liked her with the added alien DNA. The Drones were an awesome example of Terminators in space. Instead of being humanoid, they were just bots that locked onto anything that wasn’t their species and wiped it out. There were a couple episodes of the second season that revolved around trying to escape these Drones that just would not give up. They never get tired, they never need to stop for resources, they just keep coming until eventually they catch you. See? Like Terminators. 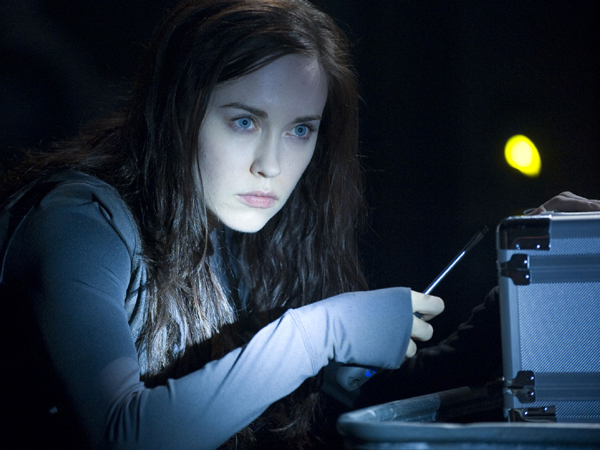 The Drones and Chloe’s transformation were the two things that stood out the most in the entire season. My least favorite episode had to be “Cloverdale,” hands down. This episode accomplished nothing except state that Chloe’s alien virus was limited to her and couldn’t be passed on to the rest of the crew. It was basically just one big fantasy about Matt’s life back home if he knew the crew of the Destiny back then. Certain things like Colonel Young being his father was falsified, but validated in that that’s the way Matt thinks of him. It’s hard to pick out an exact favorite episode, because there were so many that I liked, but I might have to say “Deliverance” because of the massive packed suspense around every corner. Colonel Young had to choose between destruction at the hand of a cluster of attack ships or hand over Chloe as a distraction and hope to repair the ship in time. 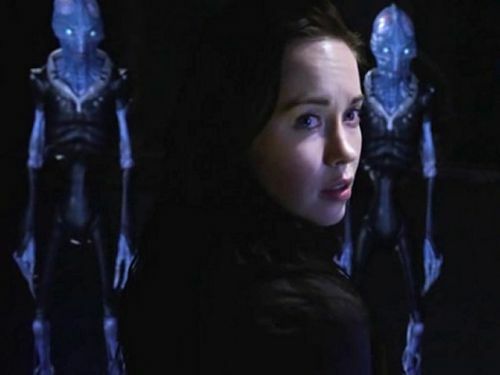 By then Chloe was actually useful and a lot of people liked her, so there was a bit of emotional upheaval over her being given over to the aliens. Tough decisions always make for good television. I was chagrined as the season was ending because I knew of the cancellation and that there was no chance to getting any more episodes once it was over. Naturally, the last couple episodes were everything that could have been hoped for – dramatic suspense tempered with tragic loss and the realization that certain things have to be done in order to survive. The way they ended the season was open ended, but done in a realistic way that was perfect. 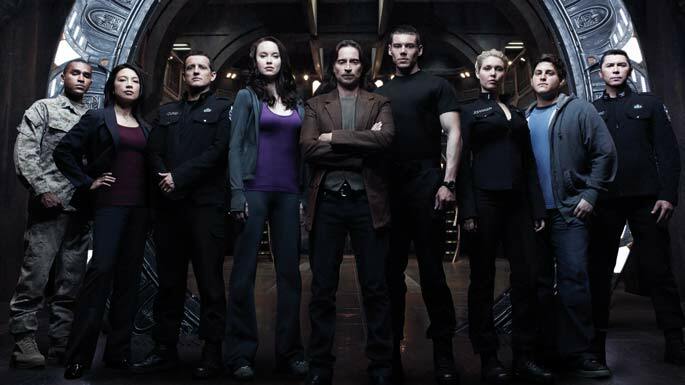 I couldn’t think of a better ending for a show as wonderful as Stargate Universe. I am supremely saddened by the show’s cancellation. It wasn’t really given a chance to flourish into was could have been a science fiction hit on every television. All it needed was a little more time. The DVDs also included the standard audio/video commentaries about the show, construction of the set and some clips of the cast hanging together on set while they have a good time. The commentaries done by the stars were pretty good. It’s always good to hear what goes on in the actors heads while they’re trying to play out a character. How they perceive the character can sometimes be different than what you originally thought from watching the show. 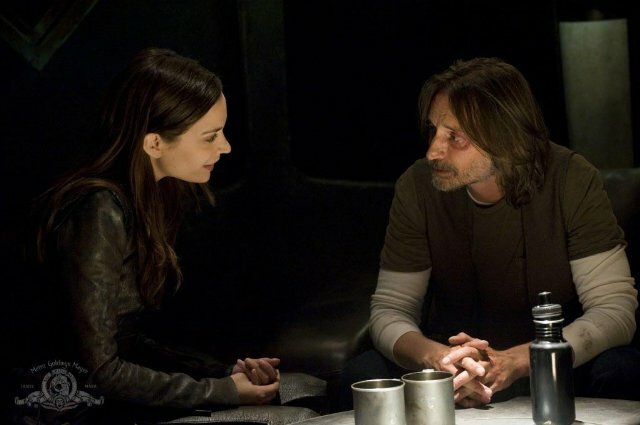 Stargate Universe rapidly became one of my favorite shows. It’s the type of show that you can watch repeatedly and never tire of because it’s not the same old mundane crap they promote as television nowadays. Syfy really cut its own foot off when they canceled this show. They had a really good thing going and didn’t even realize it. Born in Ohio, Felicity Gustafson is a Knight of the Entertainment Order. She spends most of her time playing video games, watching TV, reading and pursuing the destruction of ham fat everywhere. Legend says that she showed signs of being an obsessed fan of the fantasy and horror genres in the early stages of life with influences such as Tales of the Crypt, The Wizard of Oz and Mary Poppins. Currently, she valiantly quests onward in the hopes of portraying an image of a normal person who knows what she’s talking about while dodging responsibility with her nonexistent reflexes.